Farming groups have welcomed the news that trade talks with the EU are set to begin after Theresa May signalled she would pay a Brexit divorce bill of more than £53 billion (€60bn). According to The Times, British officials have made clear their intention to cough up the cash – the full amount requested by the European Commission. 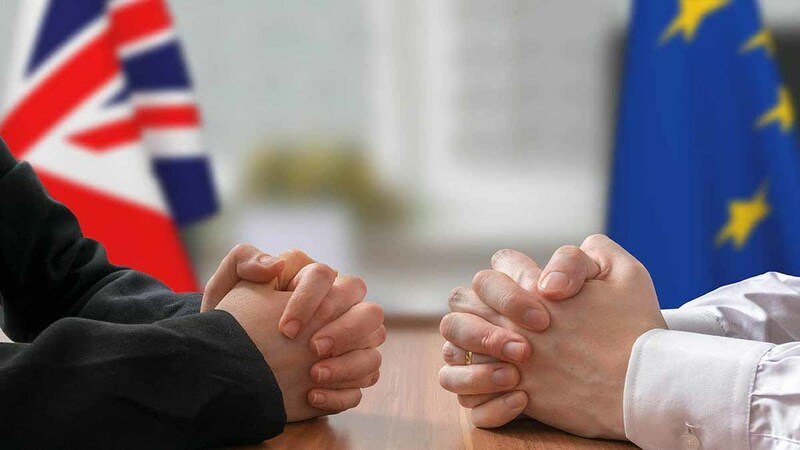 Though negotiators in Brussels said the Prime Minister would be able to ‘claim a victory’ as talks on the future relationship will start before Christmas, many UK politicians will see the move as a surrender. Just last week, International Trade Secretary Liam Fox said it was ‘unreasonable’ to expect the UK to agree to pay any bill before knowing what ‘the end state’ looks like, and many other Conservative MPs have urged the Prime Minister to walk away from talks if the EU continued to demand such a big sum. But Shane Brennan, director of external affairs at the CLA, said farmers would be glad to see negotiations move on to a free trade deal. NFU Brexit director Nick von Westenholz added: “It is crucial Brexit negotiations progress to discussing a future relationship between the UK and the EU. NFU Scotland also welcomed the break in the log-jam.